A federal judge on Monday issued a rejection of a Green Party-backed request to recount paper ballots in Pennsylvania’s presidential election, won by Republican Donald Trump, and scan some counties’ election systems for signs of hacking. In his 31-page decision, U.S. District Judge Paul Diamond said there were at least six grounds that required him to reject the Green Party’s lawsuit, which had been opposed by Trump, the Pennsylvania Republican Party, and the Pennsylvania attorney general’s office. Suspicion of a hacked Pennsylvania election “borders on the irrational” while granting the Green Party’s recount bid could “ensure that that no Pennsylvania vote counts” given Tuesday’s federal deadline to certify the vote for the Electoral College, Diamond wrote. “Most importantly, there is no credible evidence that any ‘hack’ occurred, and compelling evidence that Pennsylvania’s voting system was not in any way compromised,” Diamond wrote. He also said the lawsuit suffered from a lack of standing, potentially the lack of federal jurisdiction and an “unexplained, highly prejudicial” wait before filing last week’s lawsuit. It is part of a broader effort by Stein to recount votes in Michigan, Pennsylvania and Wisconsin. Trump won all three states narrowly over Democrat Hillary Clinton, while Stein captured about 1 percent of the vote, or less, in all three states. A federal judge halted Michigan’s recount last week after three days. 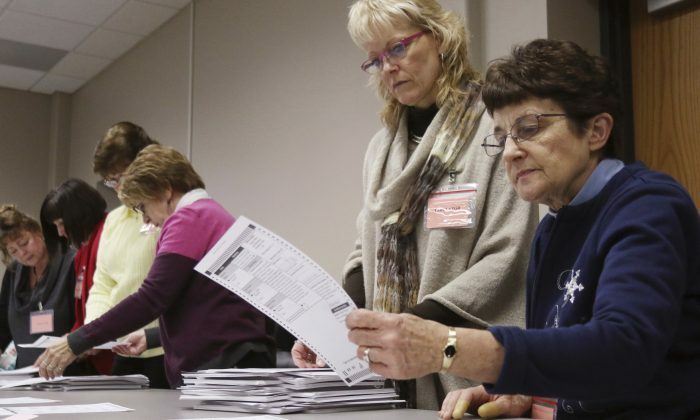 The Wisconsin recount was expected to conclude Monday. With about 95 percent of the votes recounted as of Sunday, Clinton had gained 25 votes on Trump, but still trailed by about 22,000.